Our typographic christening print on wood makes a unique personalised gift for a child on their Christening, Baptism, naming day or birth. This unique, personalised christening print can be displayed as a piece of art in the baby's nursery. Prop it up on a book shelf or picture ledge. 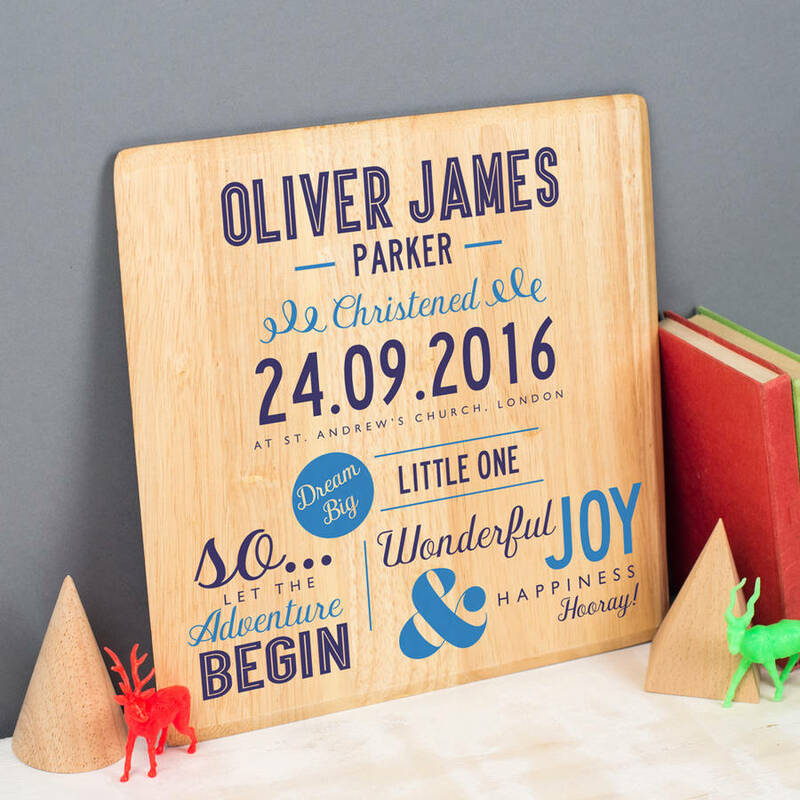 Our personalised christening print on wood makes an extra special personalised gift for a baby boy or a baby girl. 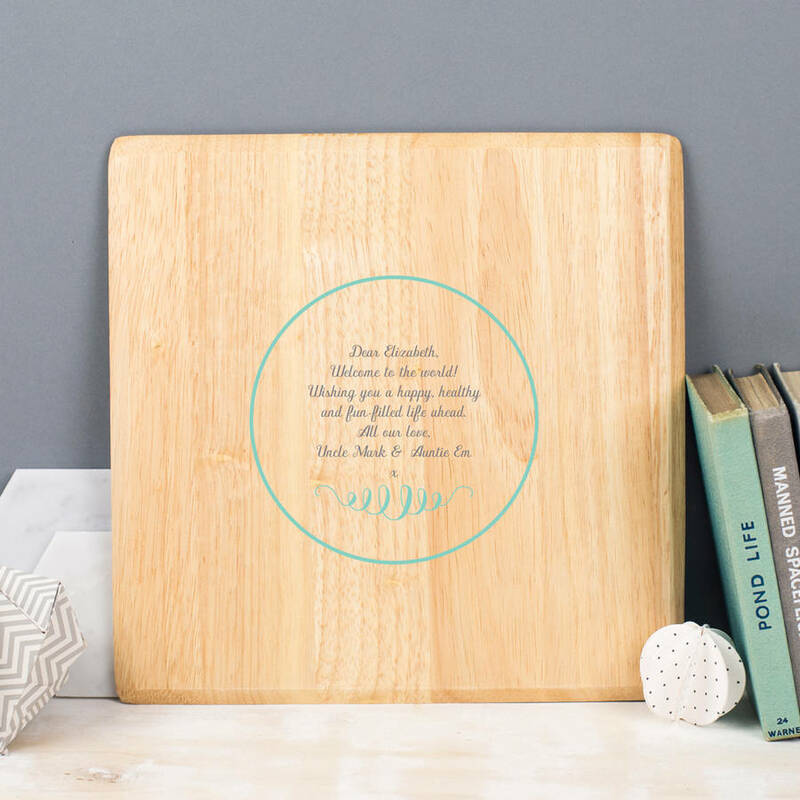 Your own message is printed on the back of the board making this the perfect gift for a special occasion to be remembered. 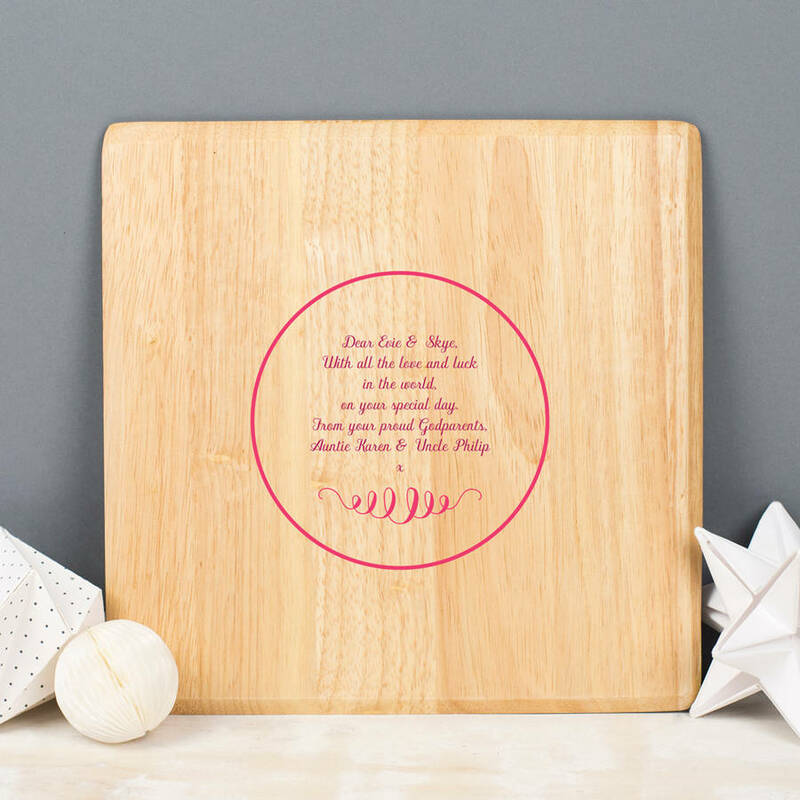 A lovely personalised print on wood for a naming day, christening or baptism. Designed, printed and beautifully packed in our Derbyshire workshop and studio. Choose from three different colour options for the design to be printed in. Please take a look at the example images to help you to decide. 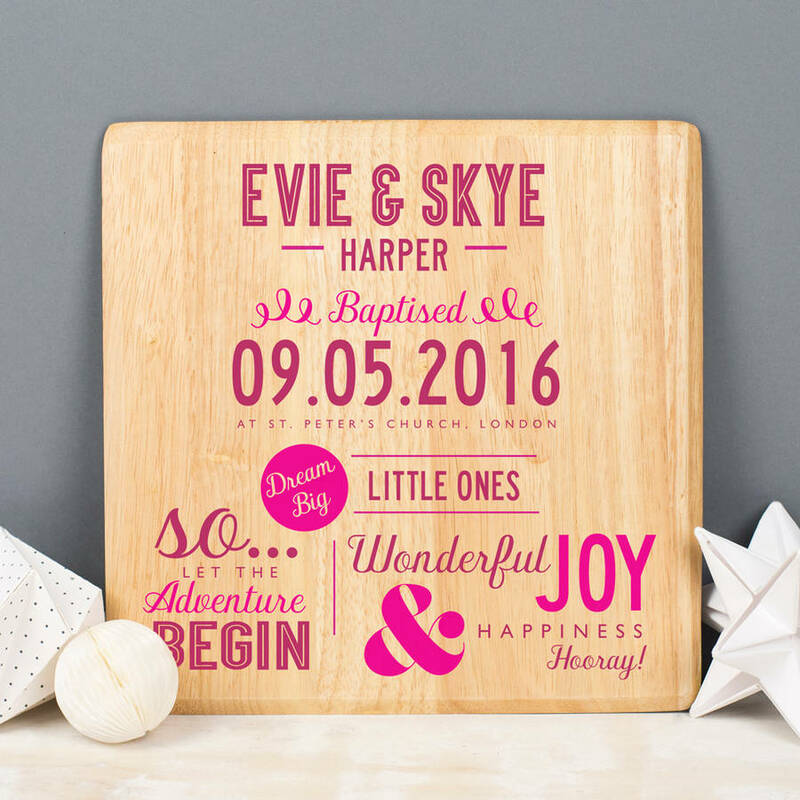 Personalise the christening print with the name of the child to be christened, baptised or named. Then add the date and location of the occasion. 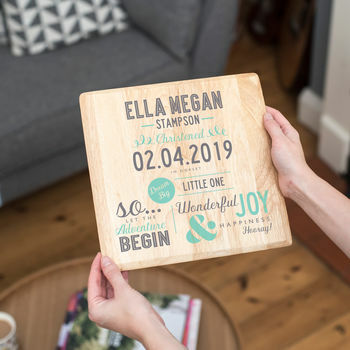 The rest of the wording on the print is fixed and reads, 'dream big little one', 'so... let the adventure begin' and 'wonderful joy & happiness, hooray!'. 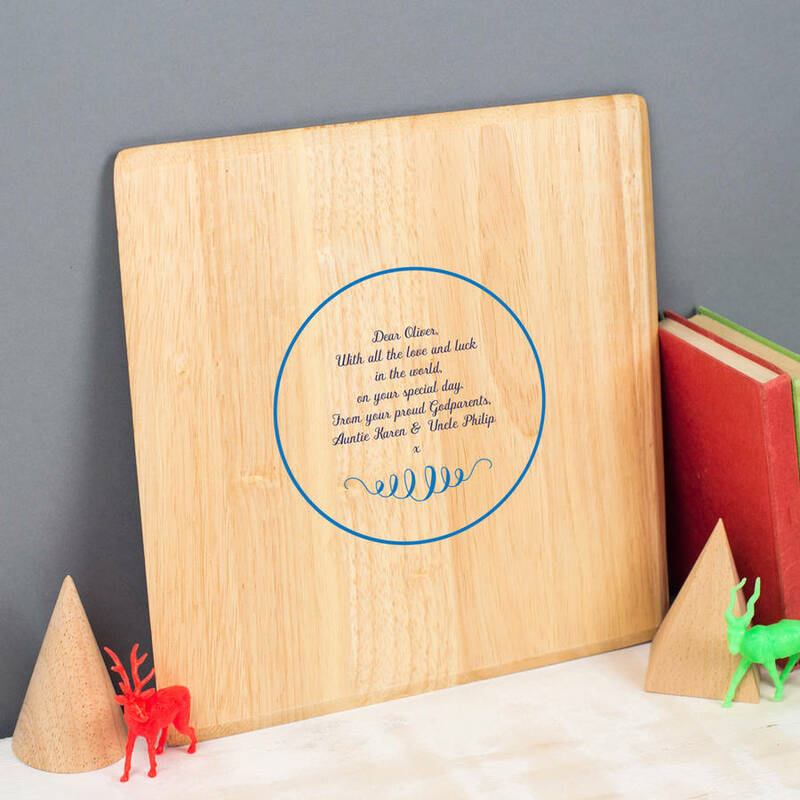 On the back of the board, add your own special message. 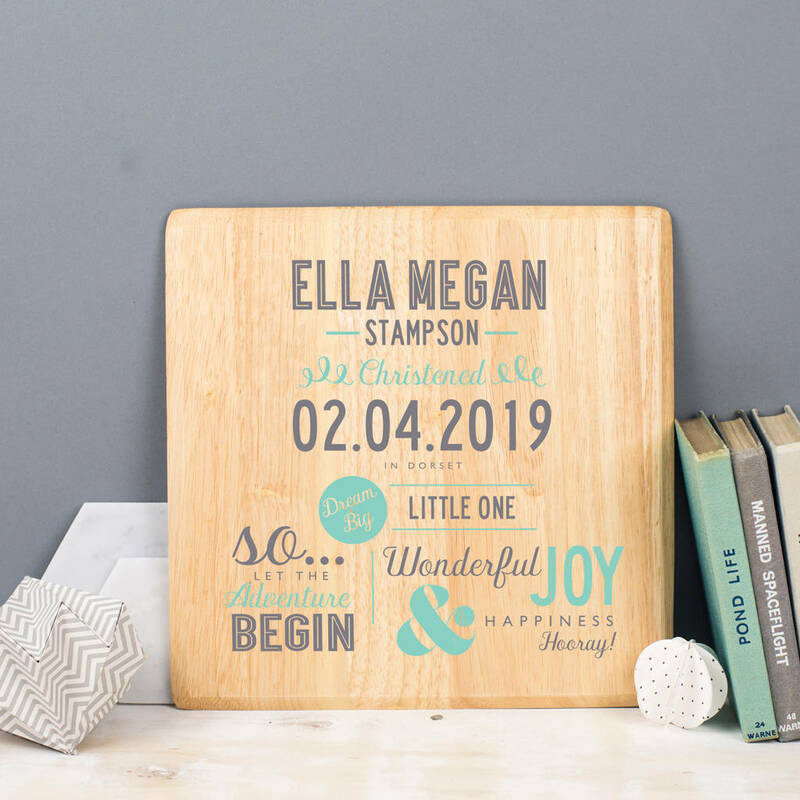 The personalised christening print on wood makes a lovely christening gift from new godparents, grandparents or a group of family friends. 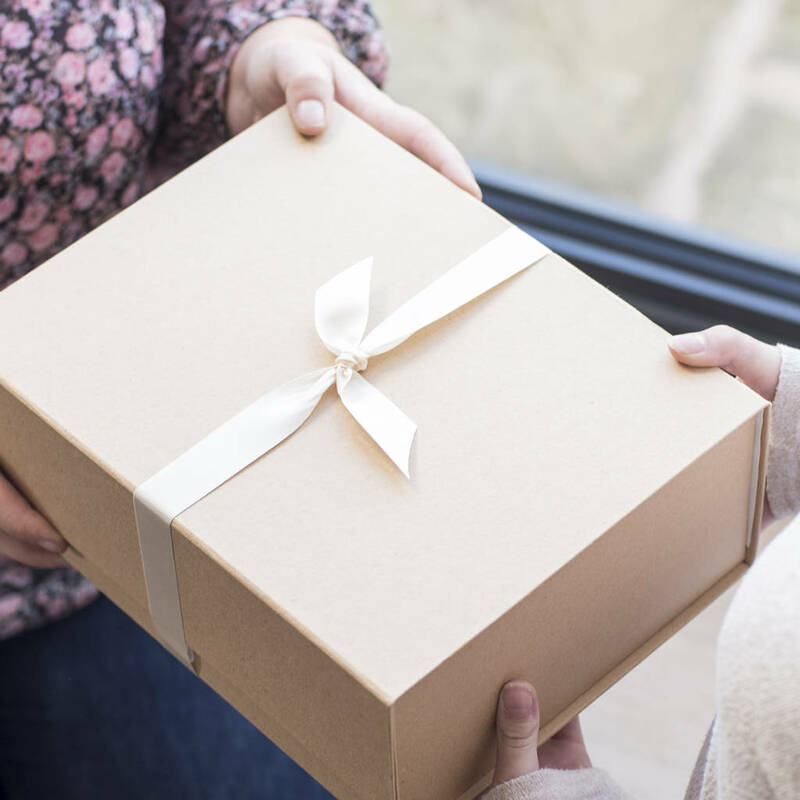 It is an equally fitting gift for a baptism or naming day. It is a special piece of personalised wall art that can be kept for years to come. The versatile typographic design will look great in any child's nursery or bedroom. Made from sustainable Hevea wood.